Our tick or treating was postponed to last night due to weather, which at first I was full of eye rolls and annoyance about. But THEN I looked outside yesterday afternoon and was like "Well isn't this the most pleasant trick or treating weather you have ever seen..."
So, I guess when standing on mighty principles I think you should keep the holiday on the holiday, but deep down I would MUCH rather have been out last night than in the rain and wind on Thursday. 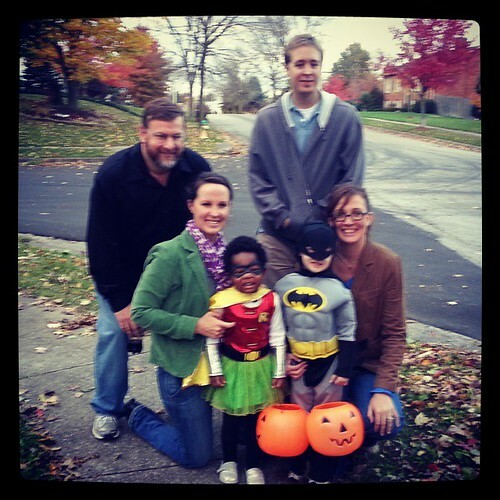 This was by far our most enjoyable trick or treating yet. These two truly got it. 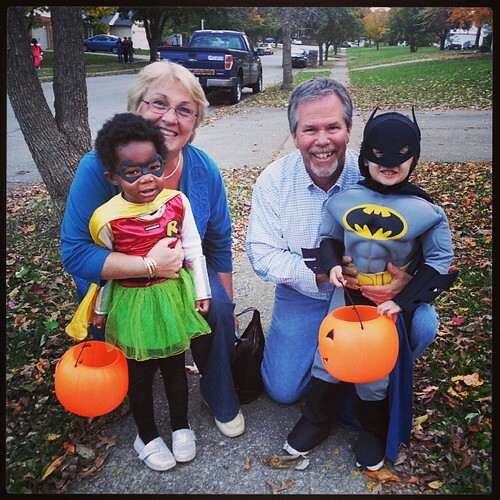 They ran to each house, yelling TRICK OR TREAT!! 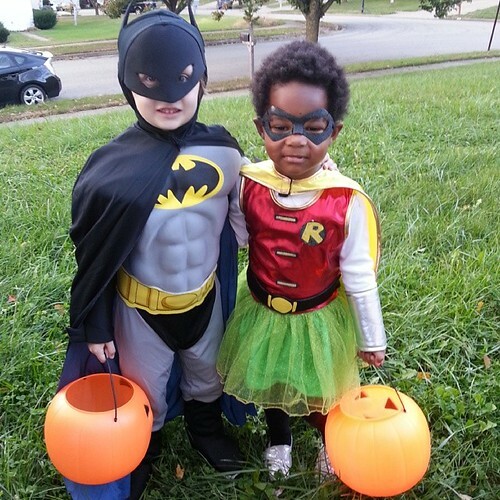 People nearly swooned at their adorableness, then they would announce "We are Batman and Robin!!" There were a few instances where they were not happy with the candy amount given, and would just continue to stand there looking at them like "Really?? How about one more..." and maybe once or twice they just grabbed uninvited handfuls, but that's just kids being kids, right?? All in all, it was perfect trick or treating in November!